Organic Oat bran is a high-fiber food that can lower your cholesterol and provide a number of other health benefits. A large amount of protein, very few calories and a variety of vitamins and minerals, oat bran’s nutritional benefits extend beyond its fiber content. 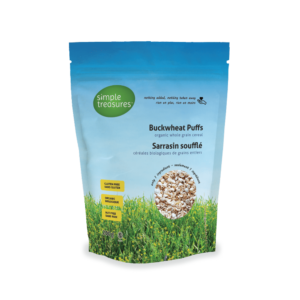 Organic Oat bran, compared to rolled oats, is made up of only the outer shells of the seeds. 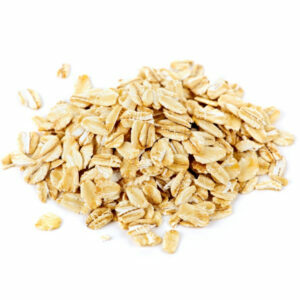 Nutritional Profile: Organic oat bran is very high in fiber. One cup offers 5.7g of fiber. The same amount of cooked oat bran provides 14 percent of the daily value of protein and 8 percent of the DV of carbohydrates. It contains 3 percent of the DV of fat, 2 percent of the DV of saturated fat. In addition to this, the same serving size of oat bran has 31 percent of the adult recommended dietary allowance for selenium. Health Benefits: One major benefit of organic oat bran is its ability to lower cholesterol. Reducing cholesterol can help to prevent the buildup of dangerous plaque in your arteries. This leads to a conclusion that it also helps in the prevention of cardiovascular disease. Oat bran helps to keep blood sugar levels from getting too high after a meal by slowing down the digestion of carbohydrates and reducing the rate at which sugar enters your bloodstream. It has the ability to improve blood sugar levels by increasing sensitivity to insulin. Food rich in fiber delays digestion and absorption of food. Thus delaying hunger and helping in weight loss. Adding oat bran to meals and snacks and drinking lots of fluids can help to prevent constipation and keep your colon healthy. Facts: Dietary fiber requires lots of fluid intakes. Do not forget to drink water while consuming food high in fiber. Add your oat bran gradually into the diet as a sudden change in diet, especially concerning your fiber intake, might lead to uncomfortable gastrointestinal effects. Such as gas and diarrhea, which are commonly reported side effects of a sudden increase in dietary fiber. Usage: Use the oat bran as a meal, snack or as a tasty garnish. Sprinkle 1/2 cup of oat bran on yogurt, fresh fruit or in a smoothie for an edible garnish. Very easy to prepare as a cereal, either with milk or water. Use it as a poultry stuffing and add to baked goods.